The Rebel Sweetheart. : Wordless Wednesday #117 | Tom and Yue. 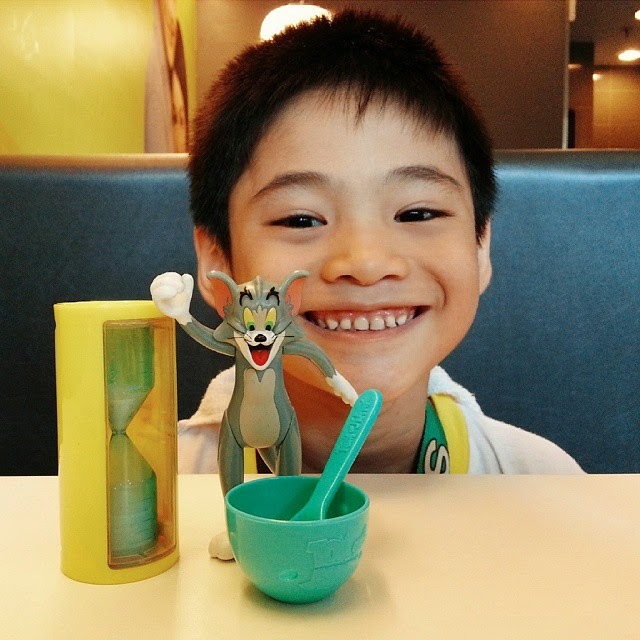 Wordless Wednesday #117 | Tom and Yue. Little man loves this month's Happy Meal toys! What a cute little guy. Love his smile. He is growing up. I love the Tom n jerry toys. Looks like he is enjoying it. Nice Linke. He is so cute and I love his smile. I have not yet seen these toys. Thanks for sharing. What a cutie. I love Tom & Jerry too! The Wait is Over | UFC Fight Night in Manila! Ornament Opportunities Throughout The Year. Teaching Your Dog To Obey. Foodie Goodie | Crispy Tofu Bites. Kids, Gadgets, and Social Media. Wordless Wednesday #118 | Frozen Birthday Party! Spotlight | Etude House Slim & Long Sharp Liner. Foodie Goodie | Yujacha (Honey Citron Tea). Spotlight | Etude House Nymph Aura Volumer. Spotlight | Klairs Rich Moist Soothing Cream. Wordless Wednesday #116 | Fambam Fun! Spotlight | Love & Beauty Eyeliner Pencil.